Tortoiseshell is having a little moment, y'all. Besides all the cutie baubles on J. Crew and BaubleBar right now, you can find tortoise in tons of different products out there right now. 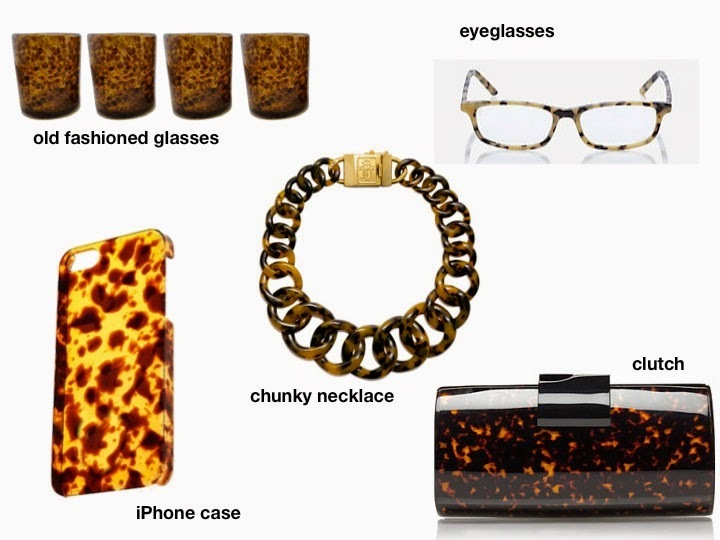 And like leopard, tortoise is definitely a neutral and can be paired with just about anything. Try pairing a classic white tee, jeans, and the tortoise clutch or you can try a bright poppy shift dress with the necklace..both super cute!